PORTLAND - Nancy A. Stanley, 76, of Lewiston, passed away on Dec. 31, 2018 at Maine Medical Center. 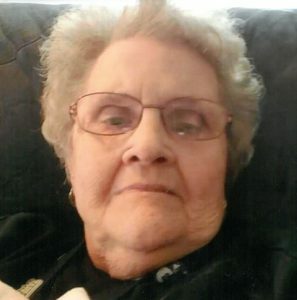 PORTLAND – Nancy A. Stanley, 76, of Lewiston, passed away on Dec. 31, 2018 at Maine Medical Center. She was born in Lewiston, in 1942, to George and Rose Yokell. She later married Neil Stanley, with whom she raised six children. She was a wife, loving mother and devoted grandmother and great-grandmother, who took pleasure in spoiling her grandchildren and great-grandchildren as much as possible. Nancy was well known and easily recognized amongst the community for always being accompanied by at least one of her beloved Yorkshire terriers. A lifelong lover of arts and crafts, she was a talented knitter, seamstress and painter, along with dabbling in dozens of other handicraft. She took immense satisfaction in gifting her work, not only to her immediate family, but to friends and neighbors as well. A lover of holidays big and small, she put up decorations for every occasion from Easter to the Fourth of July, though Christmas time was always her favorite. She leaves behind her children, Neil, Patrick, Kim, Jody, Jennifer and Wendi; eighteen grandchildren; four great-grandchildren; and also many friends she made throughout the years. She is predeceased by her husband, Neil; and two of her dogs, Cricket and Molly. A memorial service honoring Nancy’s life will be celebrated on Tuesday, at 11 a.m. at the Pinette Dillingham & Lynch Funeral Home. Burial will be private at the Maine Veterans Memorial Cemetery in Augusta. A memorial gathering will be held on Monday from 2-4 p.m. and 7-9 p.m. at the Pinette Dillingham & Lynch Funeral Home, 305 Alfred A. Plourde Parkway, in Lewiston, 784-4023.